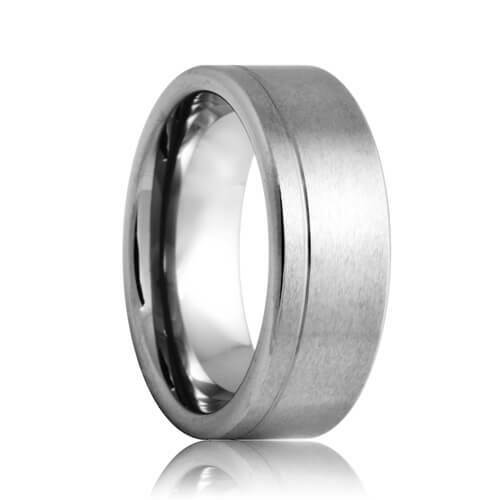 The Mesa tungsten carbide wedding ring is the epitome of masculinity and luxury. This band features the traditional pipe cut profile. Notice the matte finish top section and the single offset groove. 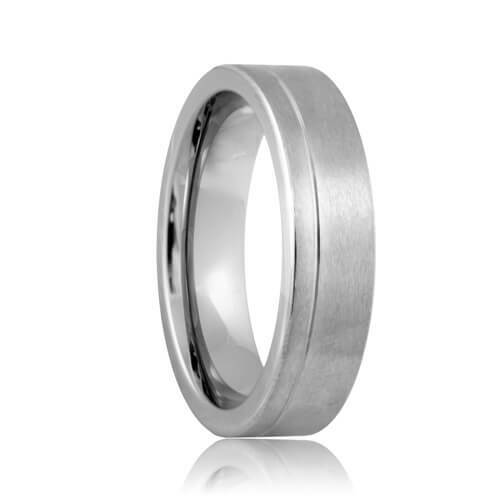 This is a strong and durable men's ring. The comfort fit means the ring will always be able to slide on and off your finger and it will always be comfortable to wear. These tungsten carbide rings are designed to last you a lifetime and it comes with lifetime sizing. Most sizes ship within 2 - 3 business days. Free Lifetime Warranty and Lifetime Sizing; pay no restocking fees or deductibles! I searched high and low for this style ring, only finding it in 8mm. Finally found this company and ordered the 6mm. Fast shipping and great service. The ring fits great and looks even better. I am very pleased.